Tumblr is probably best commercial for you guys. I was just in Need for some Hyu X Mei Stuff, then I felt like (huh i want PokeSpe pictures hawww) and suddenly I find your project and I am like: "Oh my gosh, those ppl are so awesome, I love them." I want to help with this project, somehow, if I can, but the point is, I am still not sure if I can even do sth for this. I want to become a great animator and I am sort of working on that in my free time by reading books and drawing Walks. But I still didn't dare to touch professional animation software, because I feel like I am not ready for this yet. I draw some Doujinshi and Comics in my free time and prefer digital coloring. But I do have my issues with digital line art, I have to work on that. I am currently in an apprenticeship for media design. So I know some stuff about Layout, page design and composition. I love drawing storyboards and such. Most of the time I am sketching down my stuff, creating sketches of my OCs in action and so on. I am not sure if I can help with my abilities. I am 20 years old, as mentioned I am interested in animation, I live in Germany and I am visiting conventions on a regular basis. I do cosplay since I am 15-16 and I love videogames, especially The Legend of Zelda and Golden Sun. I am not that big into the Pokémon fandom, but I love playing the games. I read the manga a few years ago, unfortunately they stopped publishing them in Germany after 2 volumes. But a friend of mine owns them I think up to volume 15, so this is more or less how far I read it. 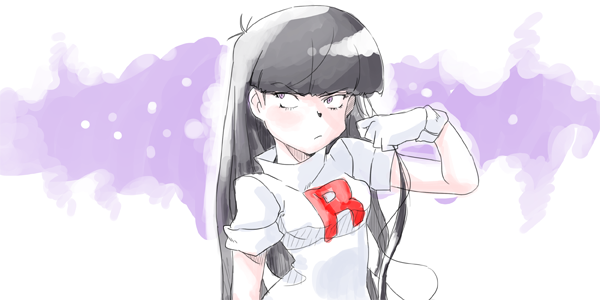 I hate reading Manga on the internet, but I rlly wanna know more about PokeSpe, so I guess I have to do that some time. Hey nice to meet you. If your interested check out the audition section. Hi and welcome to our forums!